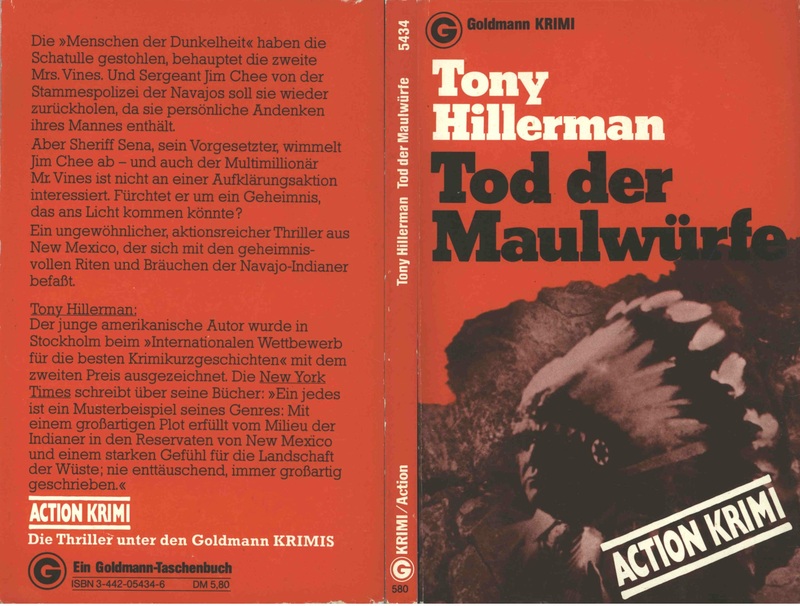 This is the full and detailed views of the Goldmann paperback publication of People of Darkness (1980), the fourth book in Hillerman's Navajo Mystery series and the first to introduce the character of Sergeant Jim Chee of the Navajo Tribal Police. The bright red cover dominates the sepia-toned photograph at the bottom of the front cover, which shows a man in a suit and tie wearing the headdress of an American Plains Indian. Cover design: The cover art is credited to Richard Canntown. 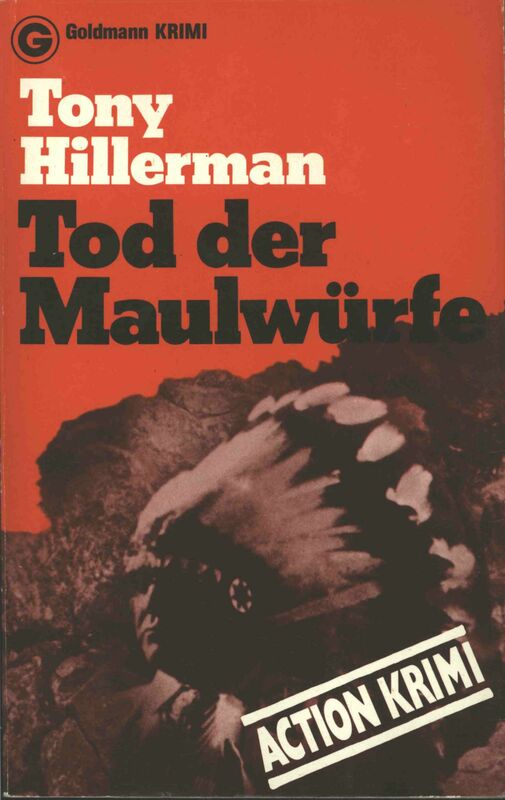 The bright red cover feature a sepia-toned photograph at the bottom of the front cover, which shows a man in a suit and tie wearing the headdress of an American Plains Indian.